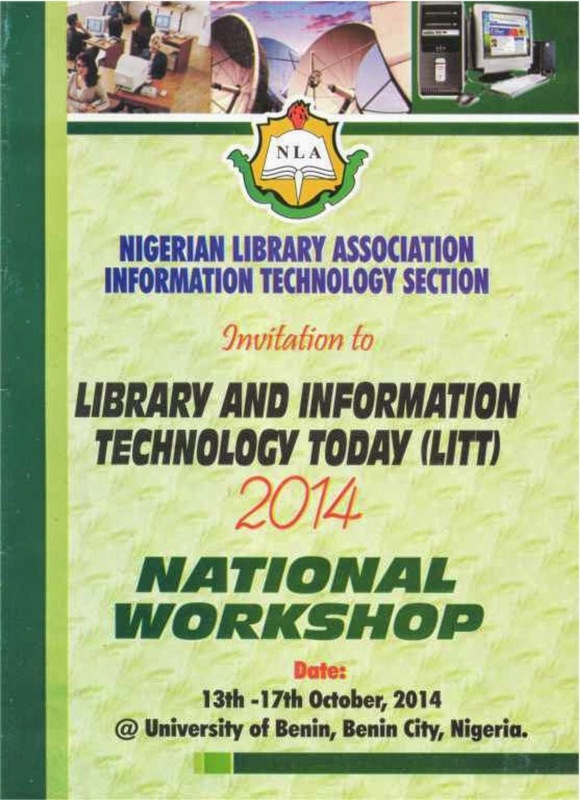 We have the pleasure to invite you to the 8th Library and Information Technology Today (LITT), 2014 National Workshop scheduled to hold at the MTN Virtual Library, University of Benin, Benin City, Edo State, from 13th – 17th October, 2014. Library professionals need the skills and knowledge to assist patrons one on one with technology questions, and provide classroom based technology instruction. Libraries too as institutions of lifelong learning are positioned to make a difference in our communities by providing necessary facilities to facilitate the use of these technologies. 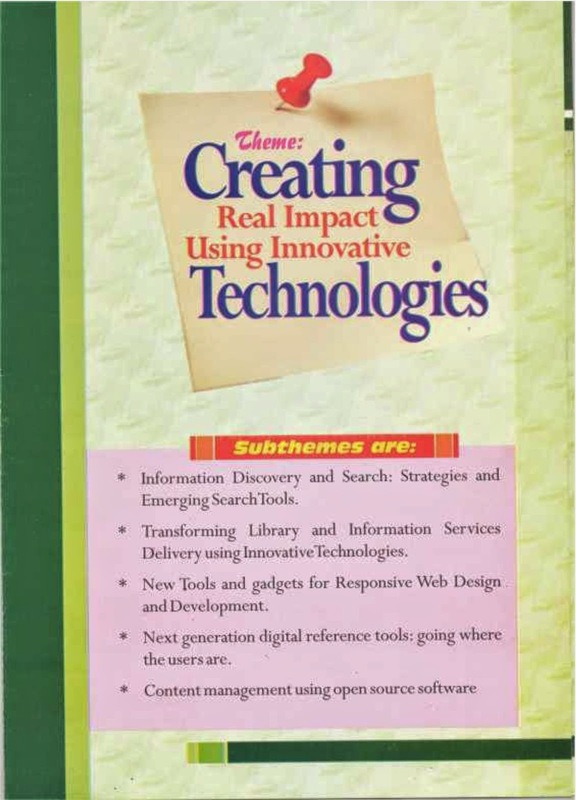 In view of the above, this year’s them is based on how to create effective impact by making use of innovative technologies in library and information services. ¨ Next generation digital reference tools: going where the users are. University Librarians, Heads of Libraries and information Centers, Systems Librarians, Outreach and Logistics Librarians, Circulation Librarians, Serials Librarians, Cataloguers, Acquisition Librarians, Reference and Information Services Librarians, Digital Librarians, Information Managers, Webmasters, Information technology Staff in Libraries, Record Managers and Archivists, Internet professionals, Content Managers and Researchers. 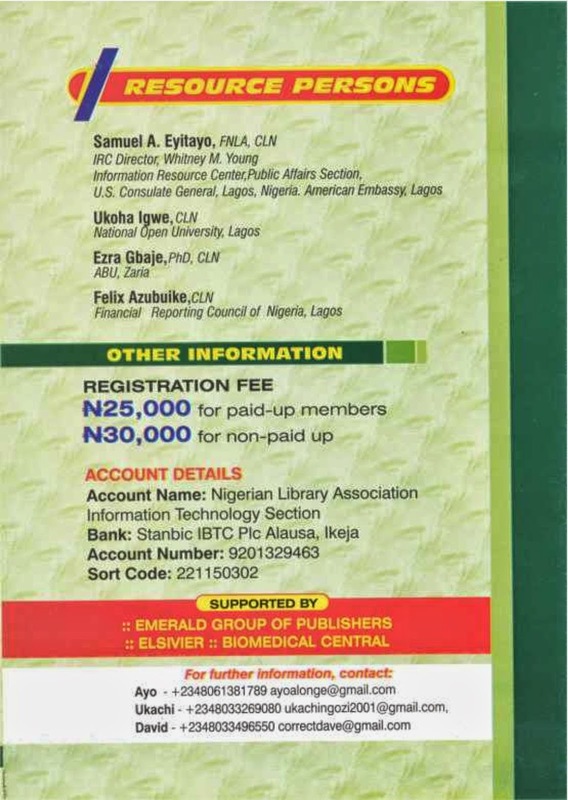 Venue: MTN Virtual Library, University of Benin, Benin City, Edo state. Conference bag, CD, refreshment and lunch only.